Theresa May’s main national security aide, Sir Mark Lyall Grant, was allegedly pushed into retirement after his habit of talking over the prime minister during meetings became too much for her to take. Old Etonian Grant will be replaced by the permanent secretary at the Home Office, Mark Sedwill, in April. Whitehall whisperers say Grant’s retirement is not the result of age, but because of his tendency to patronize or fail to listen to women around him, including May herself. 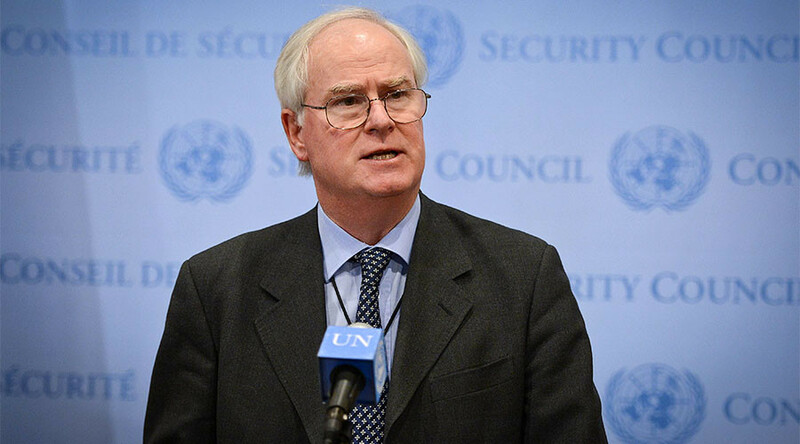 “I would like to thank Mark Lyall Grant for his long years of public service, in the Foreign and Commonwealth Office, at the United Nations and also in particular for his work since 2015 as national security adviser,” the PM said in a statement after Grant’s retirement was announced. The departure on April 13 is set to trigger a series of changes in Whitehall’s most senior roles. Sedwill will be replaced at the Home Office by the Department of Transport’s head, Philip Rutnam. A replacement for Rutman has not yet been found. Both Sedwill and Rutnam are white men over the age of 50, having attended the Universities of Oxford and Cambridge respectively.